Serious Seeds is one of the oldest and most renowned seed companies in the Netherlands. Their priority is the production of highest quality medical and recreational cannabis strains such as the award winning AK-47 and Chronic. Simon, the founder of and mastermind behind Serious Seeds was a non-smoker in the beginning, but after studying biology in Amsterdam, he discovered the benefits of cannabis while traveling through Africa in 1986. In his travels, he collected seeds for his private genetic library. Upon his return to the Netherlands, he started cultivating those landrace strains out of curiosity and for his personal pleasure. Soon, crossing the strains he considered the best was the next natural development. Through contacts to other growers he gained access to different strains and selected the best ones of those as well. Simon was teaching biology when Alan Dronkers asked him to work at Sensi Seeds. After working for Sensi Seeds for a while, he teamed up with two American "cannabis expats" and they founded their own seed bank in 1994. In the same year, his AK-47 and Chronic both won awards at the High Times Cannabis Cup. After this exceptional success, he stopped collaborating with the Americans and founded Serious Seeds in 1995. Right from the start it was Serious Seeds' goal to develop new, interesting, stable and easy to grow strains with good medicinal properties and soon the next awards rolled in. Still, the goal of Serious Seeds is not to create something new every year for commercial reasons or the next contest, but strive to provide high-quality cannabis for medical and recreational purposes. As a consequence, they have created some of the most potent and sought after plants available on the market today. With more than 60 awards won, their strains have proven themselves again and again. Serious Seeds produces their seeds in small batches and random samples are consistently tested for their germination rate and uniformity - Serious Seeds is guaranteeing the germination of their all seeds sold. They are the only company to number each and every single package, so every seed can be followed from production to the sale in the shop. How come there are only 11 strains available from Serious Seeds? As the name implies, they take their work very serious and only release a new strain, when they have something "serious" that meets their quality standards. Variations of an existing strain are not released under a new name, and if the genetics of a strain are improved, the new version will just replace the previous one. Quite rightly this strain can be called their flagship - it has won 16 (!) awards (serious! 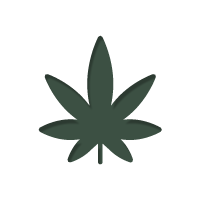 for the list of awards scroll down) in Cannabis competitions. In 1999, at the High Times Cannabis Cup, an independent lab test proved that AK-47 had the highest THC level of all entries that year. The short flowering time, the ease of growth and potency of the end product make her a favorite among growers and blowers alike. It has been often imitated but never equaled and many other seed companies harnessed her to create new strains. This multiple award winning variety pools the forces of AK-47 and the legendary White Widow. An independent seed comparison from the UK, in which over 150 different strains were compared, found her to be the strongest plant with a THC level of 22%! An excellent medicinal plant for pain-relief with dense and very resinous flower clusters. This almost pure Sativa is often dubbed the "Queen of Sativas" - the very high resin content, delightful spicy aroma and energizing high make her a top choice among Sativa lovers. The extreme resin production is like an invitation to hash production! Particularly women seem to like this strain, because it works great against menstrual cramps and PMS symptoms. Strain of the year 2004 in the "High Times Magazine"